For installing the last sprinkler head on system branch lines, controls water flow for flushing or testing of the system. When the wet pipe sprinkler system operates, the water flow in the pipes is at a relatively low velocity. 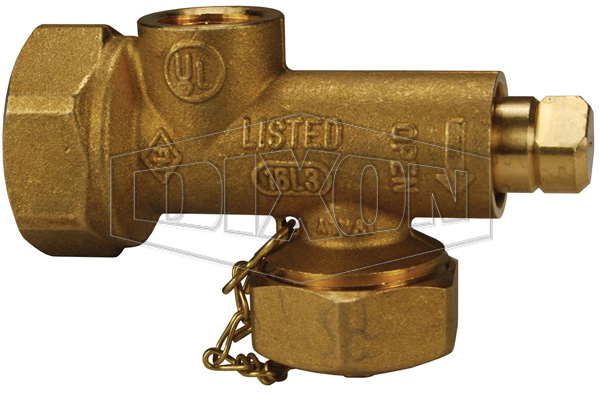 Friction loss increases with the age of the sprinkler piping, up to 100 percent after 15 years. The accumulation of sediment and foreign objects in sprinkler systems can be prevented by flushing the supply mains to the systems through the hydrants at least semiannually. The National Board of Fire Underwriters recommends that sprinkler branch line flow tests be conducted from the extremities of the branch lines (at the end of the sprinkler system) to determine obstructions in the lines and to clean them of sediments or foreign materials that may be carried into the system by the flow of water.